Home > Share Fundamentals > Basic EPS Vs Diluted EPS: Which Should Consider While Investing in Share? Basic EPS Vs Diluted EPS: Which Should Consider While Investing in Share? Basic EPS Vs Diluted EPS – Which one should you consider while investing in stock? 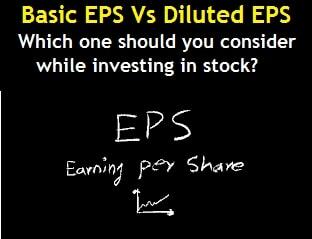 Basic EPS Vs Diluted EPS – Which one should you consider while investing in stock? While analyzing a particular stock for investment, we come across Basic EPS and Diluted EPS. Often investors would get confused about these terminologies.